Ed Lowry, head ballistician for Winchester for many years, was very excited about the ballistic potential of Bismuth. As excited as Ed Lowry and others were at the time, early bismuth had its problems. Excessive brittleness was a known problem, and the Bliemeister method with bismuth was limited to #5 shot and smaller. The Bliemeister method is also sometimes used for lead: it eliminates the need for a shot tower. Molten lead passes through successive screens that are repeatedly agitated. Lead droplets fall less than one inch into hot water (as opposed to a ten-story drop). The near-spherical pellets roll down an incline and are sorted by shape. The non-spherical rejected shot is recycled and remelted. Kent reintroduced their improved bismuth loads in 2016: http://www.randywakeman.com/KentCartridgeReturnOfBismuth.htm . The new Kent loads have been a hit. The excessive brittleness is gone, and Kent managed to make slightly larger shot, up to #4. It is better, but bismuth is no direct lead substitute. Bismuth #6, for example, is no more effective than lead #7-1/2. 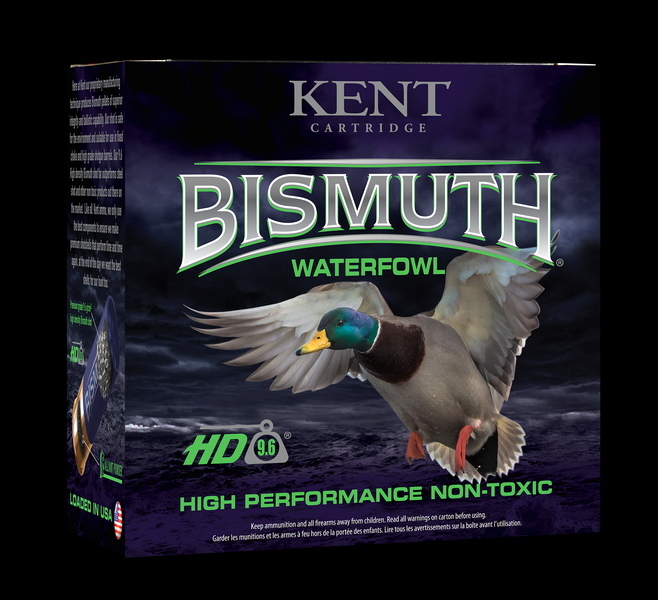 Bismuth #4 is a good short to moderate range duck and pheasant load, but not remotely suitable for geese. Now, for 2018, Kent has raised the bar by introducing a whole new series of loads with spin-cast Bismuth which removes the prior size restriction of Bliemeister manufacture. This really got my attention, as finally we have access to the ideal pellet size for pheasants and mallards, #3, and BB's for geese. It is a whole new world for Bismuth. Now, for the first time, we have bismuth loads that actually offer more penetration than their lead counterparts at 45 yards. Bismuth #3 beats lead #5 by a small amount and Bismuth BB beats the old standard of lead #2 for geese at 45 yards. It isn't that lead performance has not been equaled before: it sure has, with tungsten loads including Kent Tungsten-Matrix loads that I've used out of 16 and 20 gauge shotguns on wild pheasants. The problem is that we don't really want what we claim to want, and tungsten-based loads have hit $4 a shell. Federal Premium® Heavyweight® TSS Turkey Loads with a 1-3/4 oz. payload are $37.99 per box of 5 shotshells. That's $7.60 per shot. As it turns out, turkey hunters will pay for premium performance, but duck hunters, pheasant hunters, and goose hunters, well . . . not so much. However, steel loads aren't free and some “premium” steel shotshells go for over $2 a shell, over $3 a shell for some 3-1/2 inch loads. I have no way of knowing exactly what the latest Kent Bismuth shells will sell for, but I'll guess somewhere around $2.50 a shell, similar to premium steel loads but safe for lead-only barrels and chokes, and with a drastic increase in performance. It is estimated that it takes about 6 shells for every duck taken, and 18% hunters report an average 18 percent loss rate to USFWS. The wounding rate on ducks is at least 25 percent —translating to “approximately 3.4 to 3.7 million ducks and geese unrecovered each year in the U.S. and Canada. It isn't all due to the crippling effects of soft iron (“steel”) shot, but there is no doubt that portion of it is. With a dead-in-the-air pheasant or duck there is no need to waste another shot on them, and Kent Bismuth shells are going actually save people money. More satisfying, cleaner kills are always a good thing. It is a new day in hunting fields and blinds where you are prohibited from using lead. Kent assures me that the new, larger diameter spin-cast Bismuth is remarkably spherical in shape, and that means true lead-like performance is soon to be available (July, 2018) in an affordable shotshell.